Business presence online is a must in today’s era of smartphones and internet. Communication through digital media goes a long way in ensuring the success or failure of your product. Just because you don’t have a big budget as corporate houses do shouldn’t hold you back. But at first you need to understand the basics of what all makes a great website. In this article we break down the essential aspects of a website that can come across as affordable website design. Research shows that visitors often enter and leave sites within fraction of ten seconds. So how do you grab their attention, make them read to convey about what you do, why you do, and importantly why should they choose your product and continue doing business with you when they could move on to something else. To prevent them for moving elsewhere you need to present your information in succinct way. Information should be brief and up to the point in simple language and be prominently displayed on your homepage. What you generally expect visitors to do when they click on your website? Keeping that in view you need to create a clear call to actions which will prop your visitors to go ahead further which can possibly convert to the sales that you are looking for. A good way of doing this is by placing your phone number prominently displayed on the right corner of each page, complete contact details in the footer or on the sidebar and incorporating buttons next to sales messages to prod them in the right direction. This page needs to be attractive enough to hook your visitors. Your company profile should be as crisp and clear as possible. Focus on what is special about your company. You may perhaps tell about how you excel in customer services, may be put some testimonials from your customers, and the list of staff members with their email id and phone numbers (optional) so that visitors can directly approach them in case of any doubts relating to some specific products which they want to buy. An attractive and easy to read content is a core part of marketing. Customers before buying any product will also read the product description and reviews. So you need to upload the best quality description which is free of grammatical and spelling errors. You also need to place on top positive responses to your product from customers who are using your products. This will enhance your brand value. Hire a good writer with content developing experience who can convey your message suitably to the customers and keep them engaged. While content is one element, design is the second element that needs to be considered and presented carefully. An attractive design will engage your visitors more than an unattractive one. Those who do browsing will find it pleasant if the designs such as logo, pictures, attractive font sizes, colour combinations and other animations including the arrangement of the layout are done in a professional way. Visitors will definitely spend more time on your website. Graphics and menus leave a lasting impression on your visitor’s mind and this also builds up your brand. It is very important to gauge the mindset of your visitors when they visit your site. You should put yourself in their shoes and start asking questions that they might ask. You need to keep ready the perfect answers for the same. The answers should be straightforward and stick to the point. Mobile users comprise a larger segment of website visitors as they could browse it even while travelling or on the move. So your website design shouldn’t look awkward on their handsets. To ensure this make the website a responsive one. The web version should display optimally on mobile devices. The platform that you choose to build your site will have a big impact on how you and your customers interact. It is important to build a platform that can work well for both you and your clients. The website shouldn’t hang or work slow. Your sales and marketing team should find it easy to quickly add products, content, pictures, videos and any other descriptions as well as implement changes to the new features with minimal hassle. Visitors should enjoy seamless connectivity on your website without encountering pages that don’t load, script errors, etc. Use a content management system which is well established and reputed and has a good support network and is well maintained and updated by the creators. 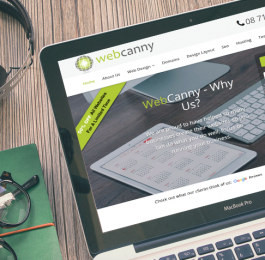 A cheap website design company which has got a vast range of experience of working with various businesses can bring a lot for you on the table. They will have the knowledge and experience of SEO, how to market the content, how to convert visitors to buyers, and how well to target new markets. Look for a company which has got a large portfolio of having done relevant work in your field. A team that is easily and readily accessible and who knows things that you may perhaps oversee would be great to work with. Of course you need to ensure that the services which they offer fall within your budget. Making the right choice can lay the foundation for the success of your business. Setting up a affordable website that could be successful is no doubt a daunting task as you need to keep a balance between your budget and your need to have a highly functional website. However, if you are able to cope up with these challenges it can ensure you that your site gets a good number of returning visitors, great search engine ranking, and greater overall credibility as against that of your peers. Credibility is something which is tough to get. 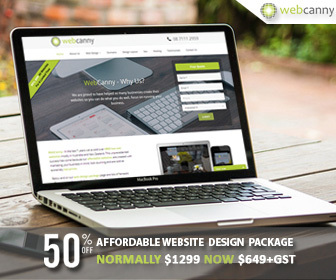 A professional site design which is simultaneously affordable can pay you very rich dividends in the long run. We’re an affordable web design agency with a passion for bringing amazing digital projects to life. Tight budget? We get it. We’ve been helping customers maximise value from their web design projects for more than 10 years – that’s a lot of internet years! 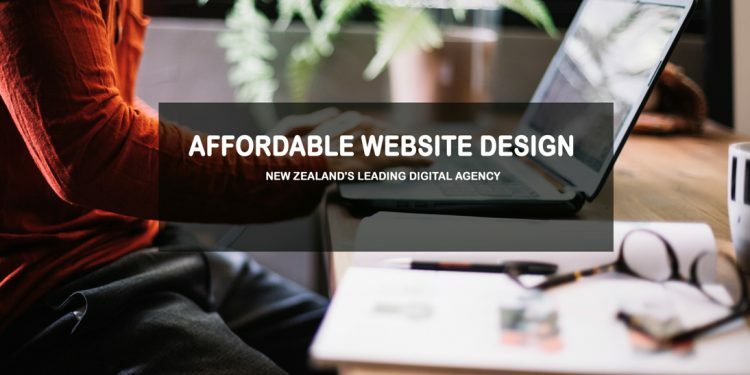 Providing Cheap web design Auckland and Christchurch wide for over a decade, we are experts at keeping the costs down while delivering high-quality websites. As a full service digital agency we specialise in website design and development, online marketing services, mobile responsive design, e-commerce services and SEO services. We are trusted by more than 7000 small businesses Australia and New Zealand wide. 9 Content Marketing Ideas for Success!